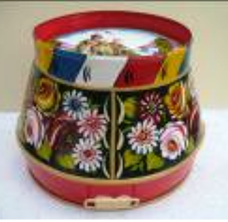 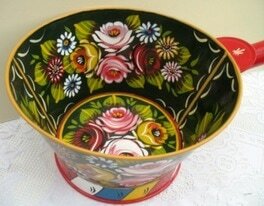 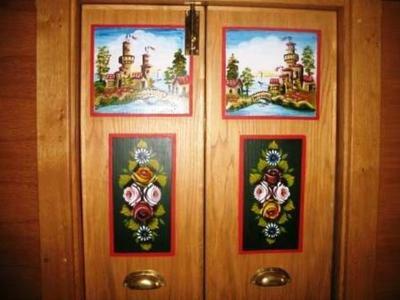 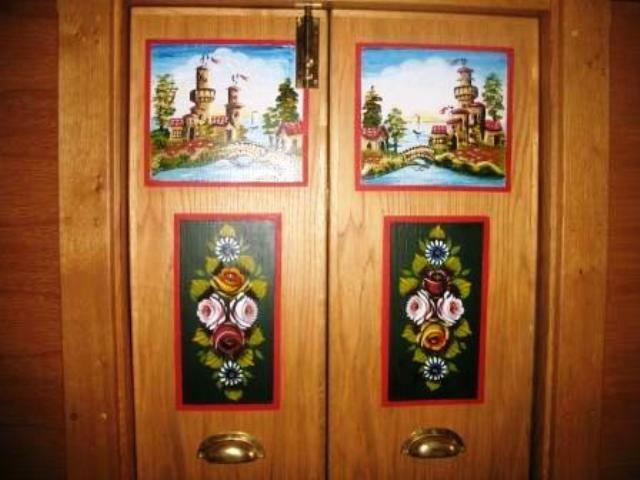 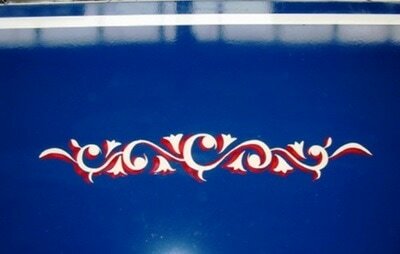 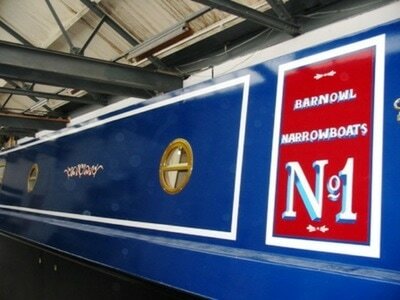 These are examples of the narrowboat “Barely Awake” by kind permission of Mr. Burrows. 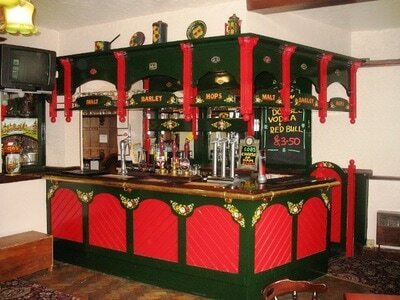 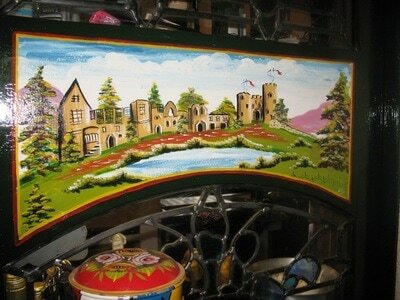 A canal-side pub I decorated with roses, castles and sign writing. This is the rear bar of the “New Navigation” on the Birmingham New Road, Oldbury which opens onto the canal, together with an artist’s impression of Dudley Castle to the left of the bar area. 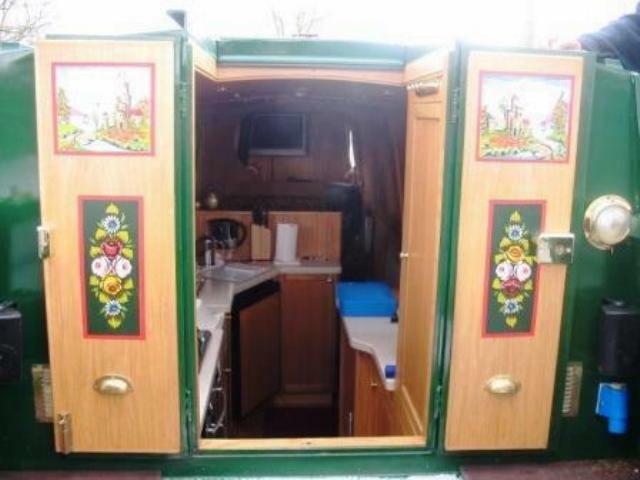 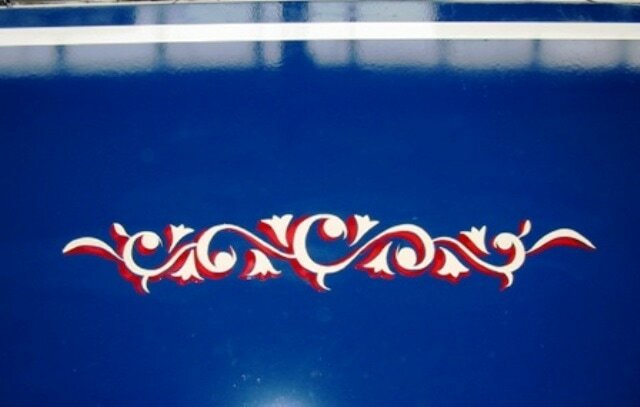 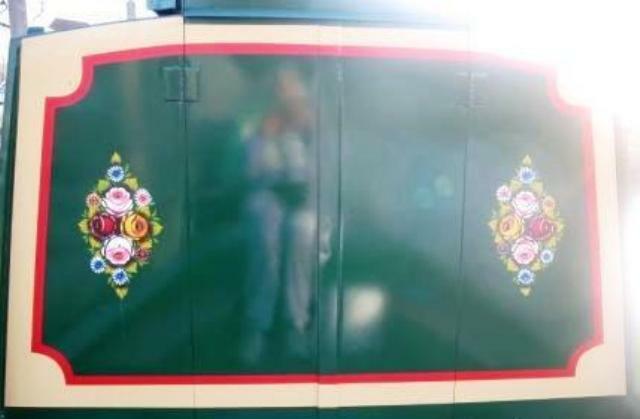 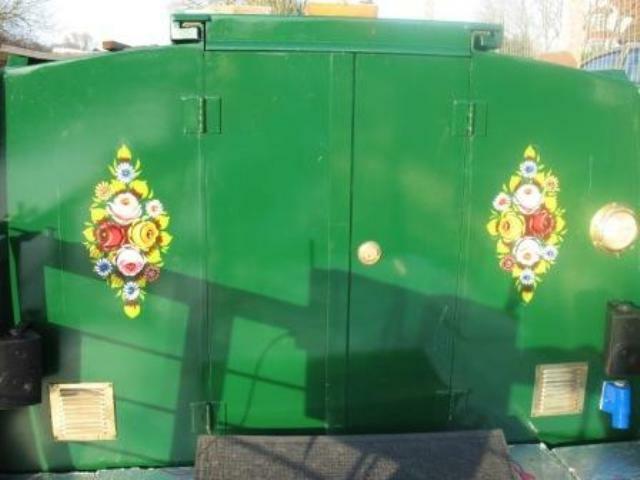 This is the exterior of “Barnowl Narrowboats Number 1” by kind permission of Stuart Harper, Director of Barnowl Narrowboats.